Multimedia based learning targeted at young people. Interactive small group work covering basic First Aid principles. 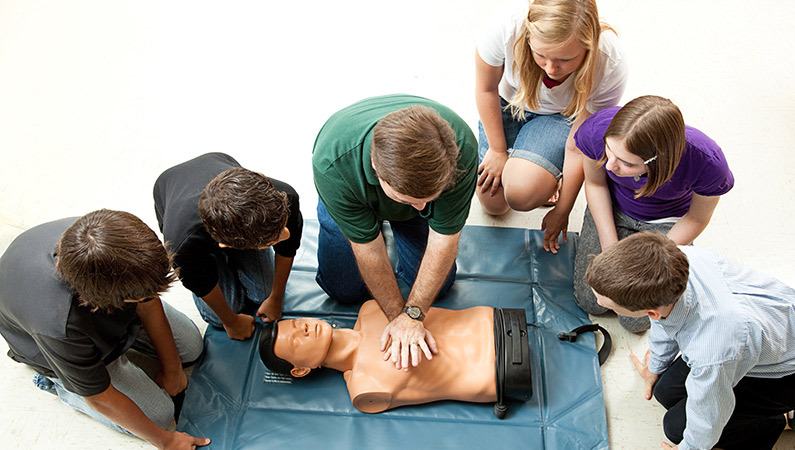 Training in how to give CPR to Babies, Children and Adults. Alcohol and drugs as causes of unconsciousness. When to get help from an adult or call an ambulance. Time: 7 hours; can be split into 2 or 3 shorter modules.